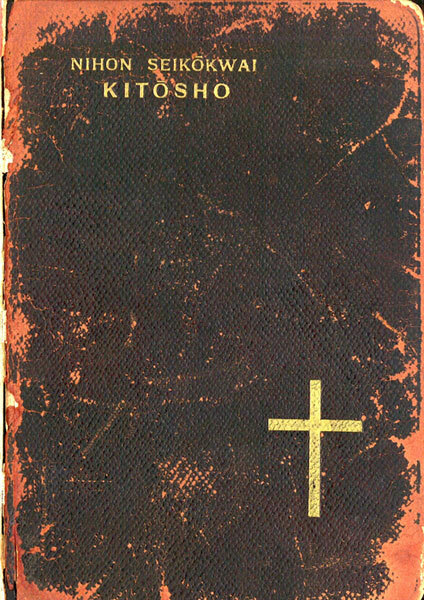 Nihon Seikōkwai Kitōsho Kyūshu Kōsei 1915 Nen Kaitei Zōho. [Tokyo] Nihon Seikōkwai Shuppansha, 1916. These page-scans were made by Richard Mammana from a copy provided kindly by Wayne Kempton, Archivist and Historiographer of the Episcopal Diocese of New York. David Griffiths identifies this title as No. 67:9 in The Bibliography of the Book of Common Prayer 1549-1999 (London: The British Library; New Castle, Delaware: Oak Knoll Press, 2002), p. 516.